The great Jamaican sprinter, Usain Bolt, who was to retire after the IAAF World Championships 2017 in London, had to settle for bronze even as American Justin Gatlin surprised everyone with a season's best 9.92. Christian Coleman (9.94) took silver, with Bolt clocking 9.95 seconds. This was not the last time we saw the eight time Olympic Gold winner on the track though, as the 30-year-old is set to race in August 12's 4x100m final. 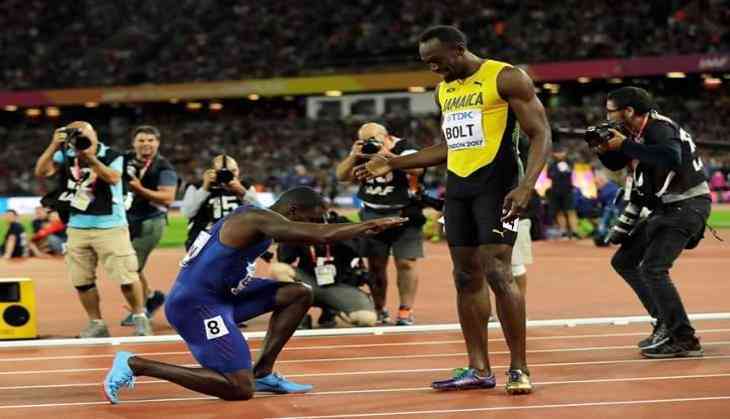 Bolt holds the world record for the 100m (9.58 seconds), the 200m (19.19 seconds) and the 4x100m relay (36.84 seconds). At the Rio Olympics in 2016, Bolt won the 100m in 9.81 seconds. Bolt hasn't lost at a major championship since he burst onto the scene in 2008 and took over. Speaking ahead of his retirement, Bolt said he would like to go out at the pinnacle of his sport when he was "unbeatable, unstoppable." He also joked that he was still waiting for a call from Manchester United to play football. After Bolt's retirement, the world will see the rise of American Christian Coleman and Canada's Andre de Grasse - the only two who seem close to fill the former's big shoes.